Noctua NF-A14 PWM 140mm Chromas Dropped 3 of these in to replace Corsair stock Case Fans and at first I had a howling wind tunnel. But after going into the UEFI and setting up a Silent Profile to slow them down a bit they are now running around 600 to 800rpm and are Dead Silent. Very quit and performs very well. To cool this beast i used a combination of the famous noctua fans Chromax series: 2 x NF-A14 PWM in the front as intake, and 1 x NF-S12A PWM in the rear. the 14 cm fans move a lot of air and have lowered the cpu temperature by 3 degrees compared to stock fans. They are also very very quiet, I can hear them only over 1200/1300 rpm. from completed build My First Build! They look great, run quiet, and helped shave 3-5°C off both my CPU and GPU load temps. 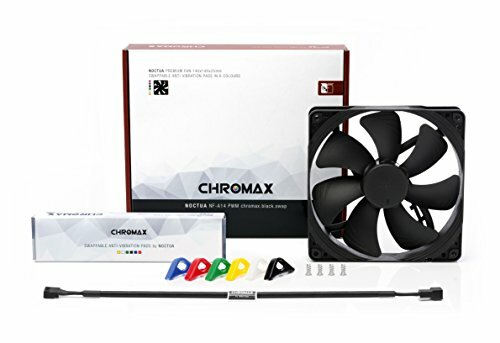 I'm a big fan of Noctua's chromax line and hope they continue to expand it! Beautiful, quiet fans. My ownly gripe is the 4-pin "extension" cable that comes with the fan. It easily disconnects from the fan, and is too short for just about anything. For the price I paid, seeing something like that was very disappointing. I had a knock off a star for those lousy cables! I installed this to replace a 3pin Fractal fan at the rear of my case - partly to gain 4-pin control and partly for aesthetics as I wanted an "all black" look. I previously had a second identical fan sat atop of my case for cool air intake and it looked and performed great, but it blocked insertion of a later added 5.25" Bluray drive being too thick at 25mm so I replaced it with thinner form fans. I decided to go for Noctua fans (although I went with the newer black design ones) that I have heard so much about this brand and it did not disappoint me in terms of noise and cooling. It looks good and feels very premium for fans. 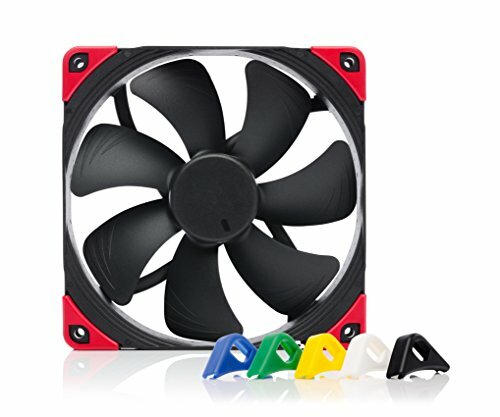 I also went with 2x140mm fans that would be much quieter than 3x120mm fans for intake. Noctuas in black with removable cable. Whats not to love except mine were made in China and not Taiwan? from completed build My Midnight Sleeper Build!